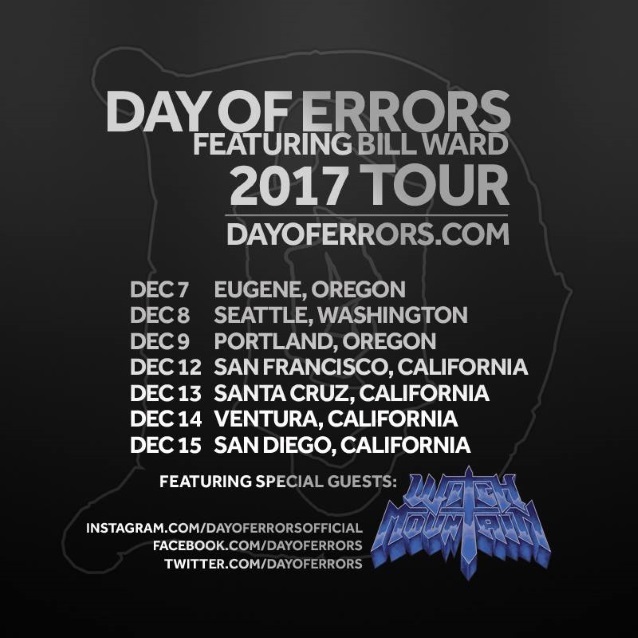 DAY OF ERRORS, the three-piece band led by original BLACK SABBATH drummer Bill Ward, will embark on a short West Coast tour in early December. DAY OF ERRORS made its live debut in June 2016 at Gaslamp in Long Beach, California. The group, which was formed by Ward “in the desire to have my drumming spirit continue to live,” also features Joe Amodea on guitar/vocals and KILL DEVIL HILL singer Jason “Dewey” Bragg on vocals. Bragg joined DAY OF ERRORS earlier this year following the departure of bassist/vocalist Nick Diltz (ALL HAIL THE YETI).